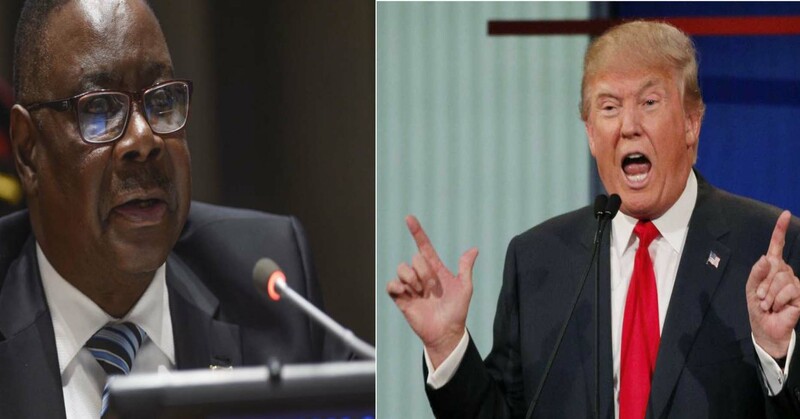 While Malawi President Peter Mutharika is still blaming the previous government for poor unimproved economy , United states of America president, Donald Trump who came to power as most hated president has done great within six months. Trump has boosted economy that allow the employers added 209,000 jobs in July, as the unemployment rate fell to a remarkably low 4.3%. The case is different here in Malawi, three years has gone the Mutharika, who came as most loved president in power, his government has just made corruption worse in the country. The job opportunities are trending at zero percent. The corruption is institutionalized, is almost an empire now, which gave a Writer and social commentator, Emily Mkamanga an idea in her article ‘power and corruption’ to describe Mutharika’s government as failure. Maybe it is because Malawians do vote for leaders just out of frustration, in the quest for just a change after being politically abused by previous leaders who betrayed their confidence. Leaders who dramatically failed to develop the country, failed to meet the needs of an ordinary citizen but rather to accumulate ones’ worth. Such rotten political situation in Malawi granted Reverend Father Peter Mulomole, who is also spokesperson of Public Affairs committee (PAC) a word to say many presidents in the country come to power by accident. ” Kuno Ku Malawi, atsogoleri ambiri amafika pampando mwatsoka, zizomwe amapanga pulani kuti zitero, komatu chifukwa cha circumstances. Mwa chitsanzo, sindikhulupilira kuti professor Arthur Peter Mutharika adali ndi mapulani woti azakhale pulezidenti ku Malawi kuno, he was comfortable with his teaching career in US. A professor zinango chitika chifukwa cha malemu akulu awo anaziyendesera zithu kuti iwowa akhale Pulezidenti,” quoted in Hot Current programme ‘was Mutharika Right to call critics stupid?’on Times Television hosted by Brian Banda. The environment in the country is really poor which pave a talk of critics in the streets against Mutharika’s administration. Meanwhile, the country is witnessing another strike of judiciary supporting staff, the sistution which depict economy is not improving in the country. Three years has gone but Mutharika not yet to improve economy in the country.